Here's a GUI for the "mpcbits" tool (look here) who can dump the actual bitrate for an ".MPC" Musepack compressed audio file. Simpy put it in the same folder where the "mpcbits.exe" executable reside. N.B. This tool is dedicated to the Hydrogenaudio community, as my humble contribution! + Added a test bitrate graph. 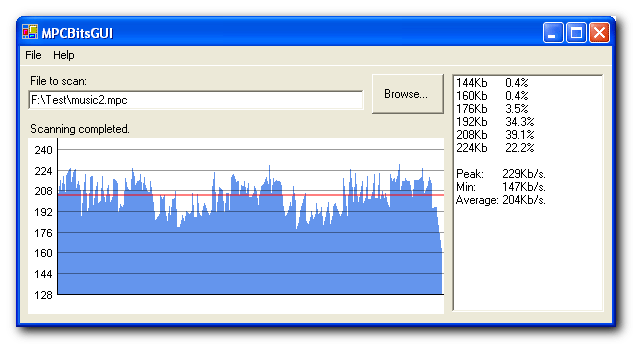 + Added peak and average bitrate.